The capital city of Dagestan republic: Makhachkala. The Republic of Dagestan is a federal subject of Russia, part of the North Caucasian Federal District, the southernmost region of the country. Makhachkala is the capital city of the republic. Dagestan Republic population - 3,015,000 (2015), the area - 50,270 sq. km. 15 October, 2016 / Tsakhur - the place of the first madrasa in the Caucasus. 26 August, 2016 / Abandoned ancient village in the mountains of Dagestan. 26 September, 2015 / The trip of the British photographer Luke Duggleby to Dagestan. 12 December, 2013 / The Second Highest Dam in Russia. 29 September, 2011 / One policeman and seven civilians were killed when a car bomb exploded in Dagestan Republic on Wednesday. Three car bombs killed six people and gunmen killed four more, including a high-level law enforcement official, last week in the region. Dagestan was always divided into numerous historical and geographical areas: Avaria, Agul, Akusha-Dargo, Andia, Auch, Dido, Kaitag, Kumykia, Lakia, Lekiya, Salataviya, Rutulia, Tabasaran and others. People began to settle in the territory of Dagestan more than a million years ago (the sites of ancient people Aynikab 1-2, Muhkay 1-2, Gegalashur 1-3, Rugudzha). At the beginning of our era, part of the present Dagestan was in Caucasian Albania. In the 6th-11th centuries, most of the mountainous Dagestan was united under the rule of the Sarir kingdom with the capital in Khunzakh. In the 7th-10th centuries, the northern (plain) part of Dagestan was occupied by the Khazars. In the 7th century, Derbent became the most powerful town of the Derbent Caliphate, Islam began to spread in the eastern Caucasus. In the early 12th century, the Moslem kingdom began to form - Shamhal with the capital in Kazi-Kumukh. In the early 14th century, it was mentioned in the manuscripts as Dagestan. In 1239, the Mongols invaded the area. Until the late 14th century, mountaineers fought against Timur (Tamerlane). Many Daghestani feudal lords supported Tamerlane’s enemy - Tokhtamysh. A lot of residents of southern Dagestan were killed in this confrontation. In the 15th century, Islam finally spread all over Dagestan. 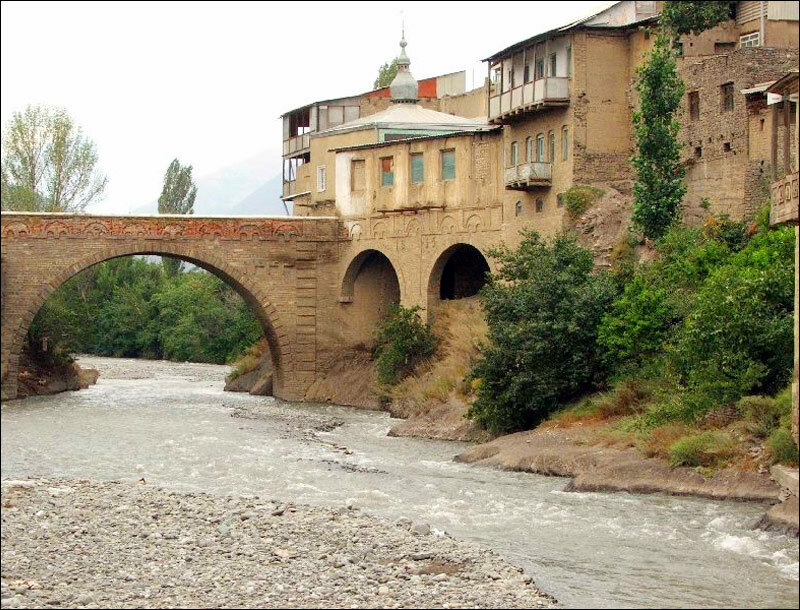 Locals began to spread Islam further to the North Caucasus. In 1668-1669, the “Persian expedition” of Don Cossacks headed by Stepan Razin took place - they passed through the territory of Turkmenia, Persia, Azerbaijan. 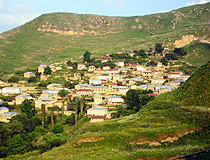 The town of Derbent was destroyed during this campaign. In the 17th century, the war between Russia and Persia was the cause of feudal fragmentation and disturbances, Dagestan Shamkhal split into independent principalities. The entire 18th century passed in fights of Dagestan people against Russia and Persia. Peter I organized a military campaign in Dagestan. Russian troops occupied the coastal area of the Caspian Sea. After the death of Peter I, Persia refused to fulfill the conditions of the peace treaty and again tried to occupy the coast of the Caspian Sea. In 1813, the war between Russia and Persia was over and, according to the Gyulistan treaty, Persia renounced its claims to the eastern and central Caucasus. In the 1820s, Russian troops overpowered Dagestani feudal lords. In 1829-1859, the third Russian-Dadestan War took place and it turned into a great Caucasian War. In 1860, Dagestan oblast of the Russian Empire was formed. In 1877, there was an uprising in Dagestan as a response to the Russian-Turkish war of 1877-1878. For a while, most of khanates were restored. Despite the initial success, the revolt was suppressed, the instigators were executed, thousands of participants and suspects were exiled with their families to other regions of the Russian Empire. 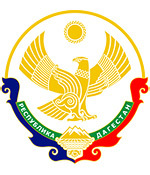 In 1921, Dagestan ASSR was formed. 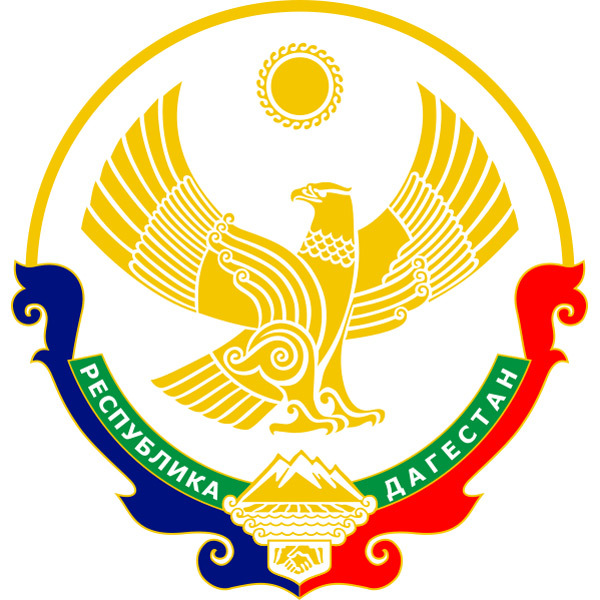 September 17, 1991, it was renamed into Dagestan SSR, December 17, 1991 - into the Republic of Dagestan. In 1994, the Constitution of the Republic of Dagestan was adopted. In 1999, Vakhkhabit uprising in western and central Dagestan took place. Chechen separatists invaded Dagestan to help the uprising but were defeated. It was the beginning of the second Chechen war. From 2002 to the present time, the participants of the armed underground have committed numerous acts of terrorism aimed at destabilizing the situation in Dagestan. The main natural resources include natural gas, oil and coal. Oil deposits are located in the coastal areas. The main branches of Dagestan economy are agriculture, winemaking, fishing, handicrafts (including carpet weaving), extraction of oil and natural gas, light industry and chemical industry, machine building, power generation. Alpine rivers of the republic have a significant hydroelectric potential. Dagestan has a favorable geographical location with direct access to international shipping routes. It also has great transit importance to economic ties between Russia and Transcaucasia, Central Asia, Kazakhstan, Turkey, and Iran. Rail, road, air, sea, and pipeline routes of federal and international significance pass through the territory of the republic. Makhachkala Commercial Seaport is the main ice-free Russian port on the Caspian Sea that provides the maritime connections with the Caspian states and carries out the processing of transit cargoes from Western Europe, Scandinavia, Middle East, India, the countries of the east. Dagestan is located in the north-eastern part of the Caucasus. On the east the territory of the republic is washed by the Caspian Sea. South and middle part of the region is occupied by mountains and foothills of the Greater Caucasus, the Caspian lowland begins in the northern part. The name of the republic means “the country of mountains”. There are about 30 peaks in Dagestan that are above 4,000 meters. The mountains cover an area of 25,500 sq. km, the average height of the entire territory of Dagestan is 960 meters above sea level. The length of the territory from north to south is about 400 km, from west to east - about 200 km. Dagestan borders with Azerbaijan in the south and Georgia in the southwest. 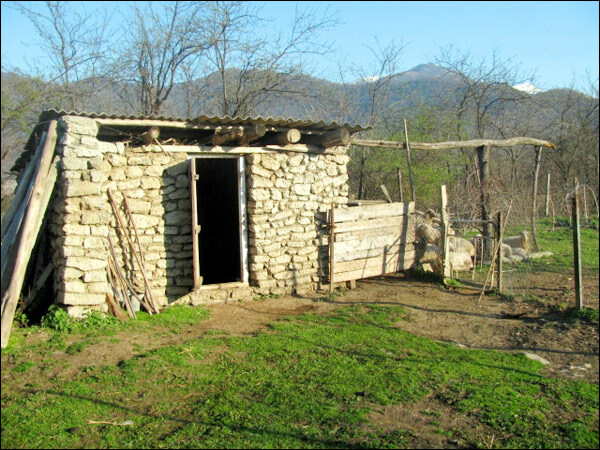 The climate in the north and in the central part of Dagestan is temperate continental and dry. The average temperatures in January varies from plus 4 degrees Celsius in the valleys to minus 11 degrees Celsius in the highlands, in July from plus 30 degrees C in the valleys to plus 8 degrees C in the highlands. Dagestan is one of the leading Russian regions in terms of population growth. The largest cities and towns of Dagestan are Makhachkala (583,000), Khasavyurt (138,000), Derbent (122,000), Kaspyisk (110,000), Buynaksk (64,000), Izberbash (57,000), Kizlyar (48,000). Dagestan is the most multi-ethnic republic in the Russian Federation. 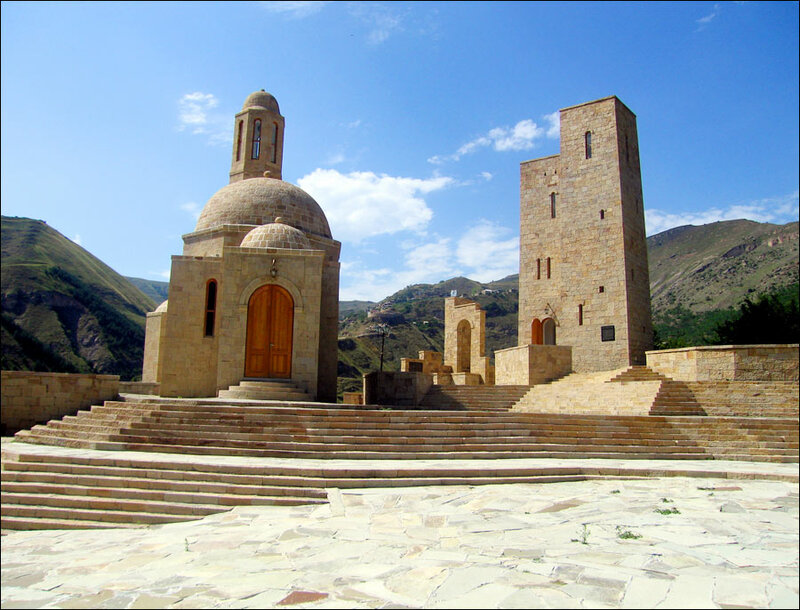 The official languages of Dagestan is the Russian language and the languages of the peoples of Dagestan. National composition of the population according to the 2010 census: Avars (29.4%), Dargins (17%), Kumyks (14.9%), Lezgins (13.3%), Laks (5.6%), Azeris (4.5%), Tabasaran (4.1%), Russians (3.6%), Chechens (Akkins) (3.2%), Nogai (1.4%), Agulla (1%), Rutuls (1%). Most of the population of Dagestan (about 90%) are traditionally Muslim. 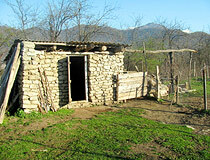 Due to the ethnic diversity Dagestan has unique cultural riches. National Library of the Republic of Dagestan is one of the largest in the North Caucasus depositories (more than 700 thousand documents). 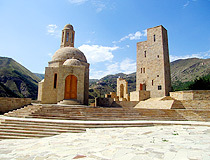 There are about 1,200 buildings recognized as monuments of architecture in Dagestan. Among them there are several UNESCO World Heritage sites. Lake Kezenoyam (Botlikh district, a large part of the lake belongs to Vedeno district of Chechnya) - the largest and deepest mountain lake in the North Caucasus. I wish I would be able to see Dagestan and the neighbouring states once during my life time.